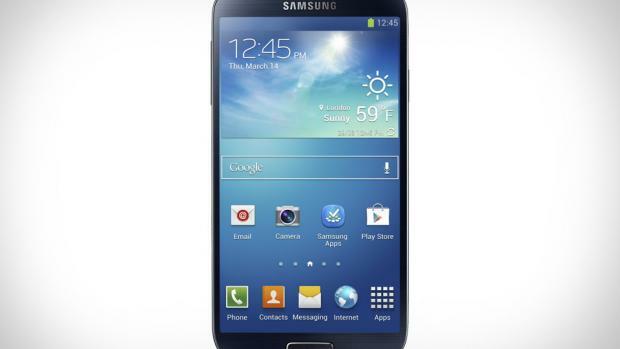 Samsung is going at the extra large smartphone market once again with the Galaxy Note 3. With major success being seen with the previous Galaxy Note phones, as well as the success of the recently released Galaxy S4, the market is prime for another Galaxy device. Rumors are spreading like wildfire about the phone suggesting that the Galaxy Note 3 will be bigger and faster than its predecessors. As a general rule, all of the different rumors and reports say that the Galaxy Note 3 will be significantly faster than the Note 2 and could once again be a industry-leading phone. Some of the most reliable rumor sources seem to be coming to the conclusion that the Note 3 will be the fastest smartphone in the world upon launch with an octa-core processor, eight-core GPU, 3GB of RAM, and a 5.99-inch display. Just the thought of the Galaxy Note 3 having 3GB of RAM is enough to make me drool, that is just about 50% more RAM than we are seeing on practically any current smartphone. Plus, an eight-core GPU could open up a lot of possibilities in the realm of mobile gaming. Out of all of the complaints directed towards the Galaxy Note 2, the plastic finish is one of the most heavily disliked aspects of Samsung Galaxy phones. Samsung could definitely end up changing this with the Note 3 as many reports suggest that they will be getting rid of the plastic chassis and will instead opt for a metal finish. However, this has been one of the more rapidly changing rumors, with reliable sources recently reporting that Samsung could be keeping the Note 3’s design practically the same as previous phones. If this turns out to be the case, then you can pretty much kiss any chance of seeing a metal chassis goodbye. Now that Google IO is over, it seems more likely that the Galaxy Note 3 will be running Android 4.3 which is an update to the Jelly Bean operating system. Prior to Google IO, many analysts were hoping that the Note 3 would have Android 5.0 Key Lime Pie, but that would have relied on Google announcing Android 5 at IO, which did not happen. Key Lime Pie is currently in such a major delay that it may take until 2014 before we actually see devices come out of the box running it, so it’s probably safe to say that Samsung will be using Jelly Bean on the Galaxy Note 3. All of the most recent reports are saying that Samsung will be announcing the Galaxy Note 3 at IFA 2013 in Berlin. Since IFA takes place in September, an October release would likely make the most sense. While nothing has been confirmed, an October release for the Galaxy Note 3 is currently most likely, but no matter what, we should see the phone by Q4 2013.